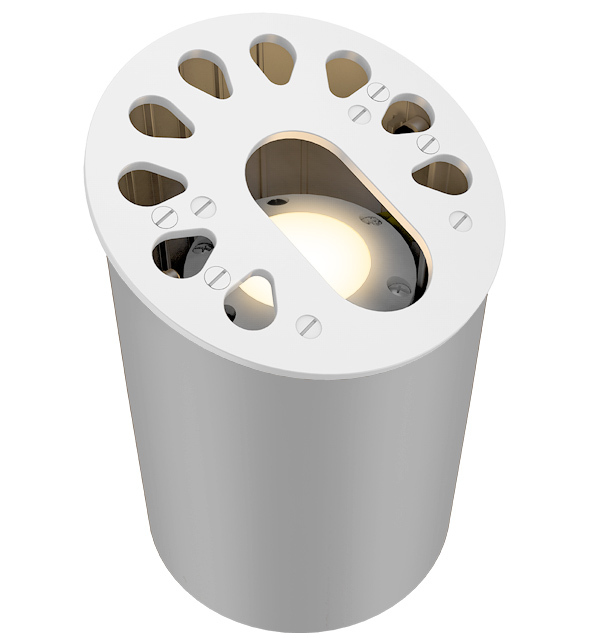 Reversible angled or flat-top well light in 3, 6, or 9 LED. Available in aluminum construction. RGBW capable with ZDClink systems. Polycarbonate color temperature adjustment lenses included with fixture: 2700K (preinstalled), 3900K (no lens), 4500K, and 5200K. 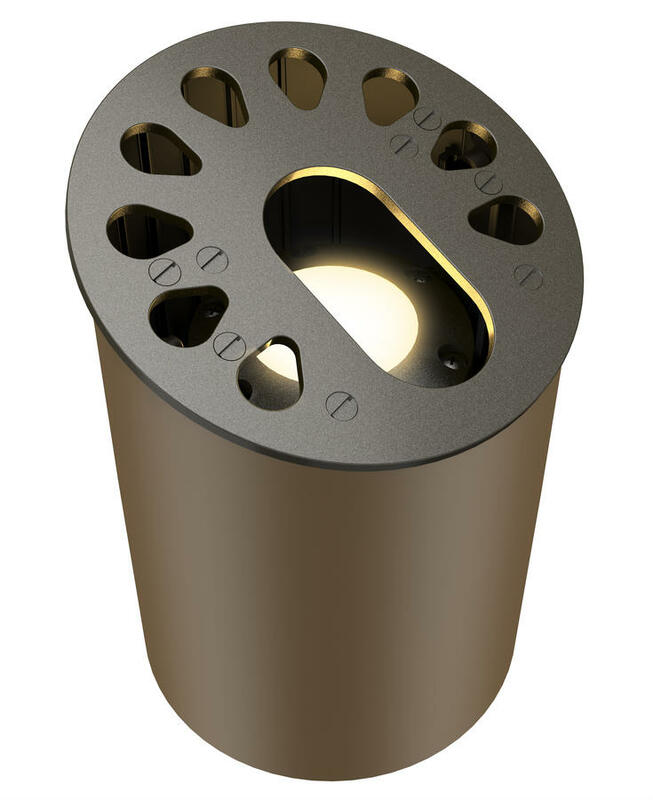 Interchangeable optics for 10°, 20°, 30°-32°, or 55-58° distributions ordered pre-assembled to fixture. 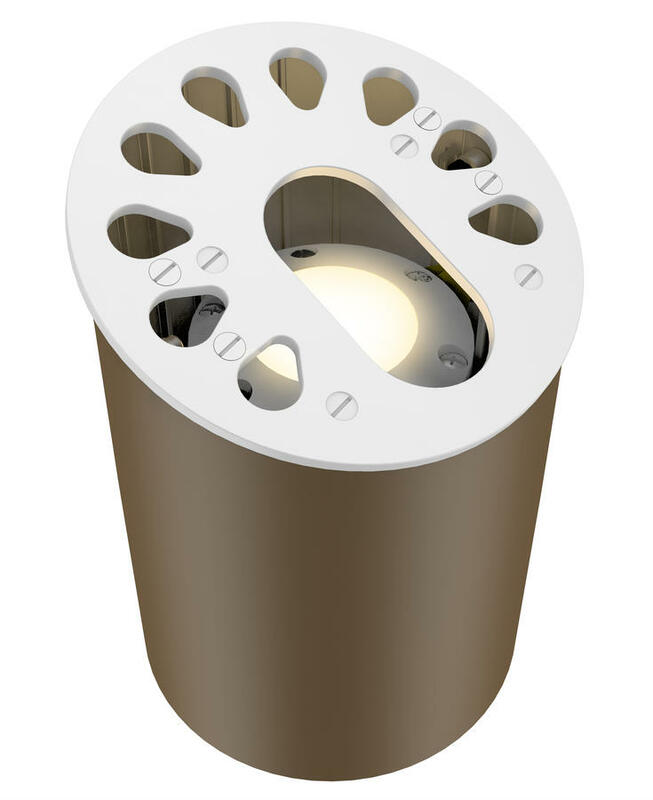 Color temperature and beam angle lenses field serviceable. Beam angle is calculated using LM-79 method for SSL luminaires. Bronze-colored ABS composite construction sleeve with flat (0º) or angled (20°) installation options. Black oxide stainless steel hardware.